Looking for the Best Bellingham Date Night? The Upfront Theatre, in Bellingham, Washington, offers one of the best date nights available in Whatcom County! To keep your relationship strong, date night should be FUN, so make it novel while keeping things fresh and exciting. The Upfront Theatre is a great place to take a new date for laughter and fun or your loved one on a nice retreat away from the house. Relationships are fun and so is comedy! 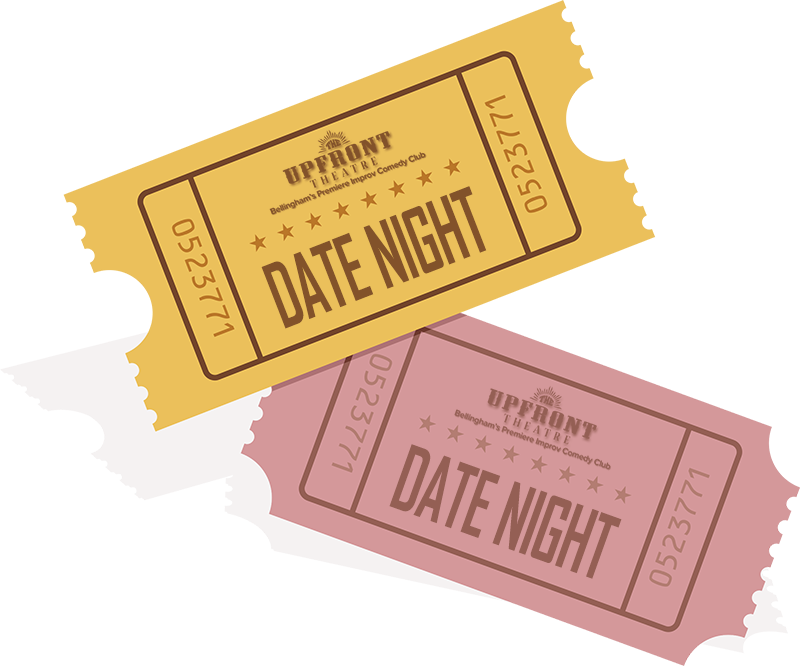 A date night at The Upfront Theatre is sure to be FUN and definitely not boring! So, spice up your next date night and check out a show for your date night at The Upfront Theatre.